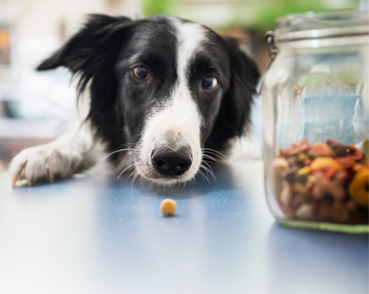 A nutritious diet is essential to keeping your dog healthy. Obesity, skin problems and poor digestion can usually be treated easily by changing your dog's diet. Select the Diet Food category for a complete overview of veterinary diets available for your dog. For food to maintain your dog's health, browse through our Maintenance Dog Food category and have a look at Eukanuba dog food, Hill's or Royal Canin Dog Food. There's always a chance that you'll notice a small black dot on your dog's coat or realise they're scratching themselves more than usual - and just like that a flea infestation has taken over your home! Our range not only includes some of the best flea treatments for dogs, but we also offer natural flea treatments for dogs, depending on your personal preference. One of the most important things to consider in an active flea infestation is that most of it occurs in your dog's surroundings. There are numerous items available to help treat your house and make sure the flea population is tackled in its entirety. Browse our flea treatment for dogs category on our website. Healthy, energetic dogs are a pleasure to be around, which is why the prevention and curing of illnesses and ailments is a very important part of caring for your dog. In the following categories, you will find different products that are necessary for the conservation or improvement of your dog's health, such as Medical Pet Shirt. Within each category you will find all of the relevant, available medication and supplements. Each item has its own detailed description. Looking for something different for your dog? Have a look at one of our popular brands for dogs such as: Nina Ottosson, Specific, Trovet, Virbac and KONG.